Rebecca Enonchong, CEO of several startups and incubators. In honor of International Women’s Day, the World Bank Finance Competitiveness and Innovation team is highlighting the innovations of four women entrepreneurs in West Africa. Meet Rebecca Enonchong, CEO of several startups and incubators. 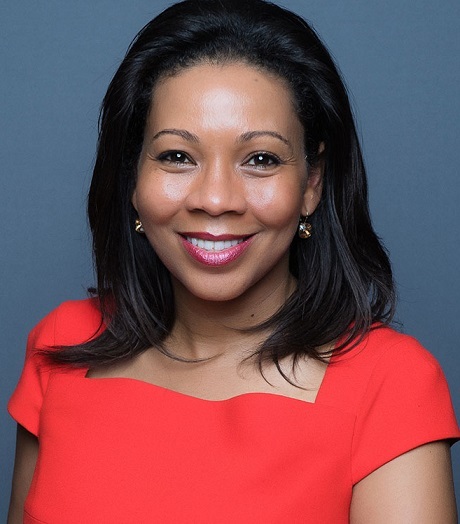 Named in 2017 as one of the 100 Most Influential Africans in SCIENCE, TECH & INNOVATION by the New African Magazine and Jeune Afrique’s 50 Most Influential Africans, Rebecca Enonchong has dedicated her career to promoting tech in Africa. Enonchong, is the Chair of ActivSpaces (African Center for Technology Innovation and Ventures) in Cameroon. She is also founder and CEO of AppsTech and I/O Spaces an incubator for African diaspora in the U.S. If that wasn’t enough, she is also the Board Chair of AfriLabs and a founding member of the African Business Angel Network (ABAN). Enonchong proudly describes herself as a tech fanatic and has been since the day she first touched a computer. “It’s an amazing tool and opened the whole world to me, pre-Internet.” Born and raised in Cameroon, Enonchong studied economics. She moved to the U.S. to finish her degree and start her career in digital technology and eventually founded her own company, AppsTech. She also has a long history with incubation. The concept of Enonchong’s ActivSpaces, the Cameroonian-based incubator, was founded in 2001 at the Africa Technology Forum hosted by the World Bank and it finally launched in 2010.